Masha and the bear is the cartoon's favourite moment, of Russian origin, aimed at children aged two years and older. It is loosely based on the characters of Russian folklore Masha and the bear and now has reached astonishing figures, a recent episode of Masha and the bear came to record plays on YouTube with 60 million views. 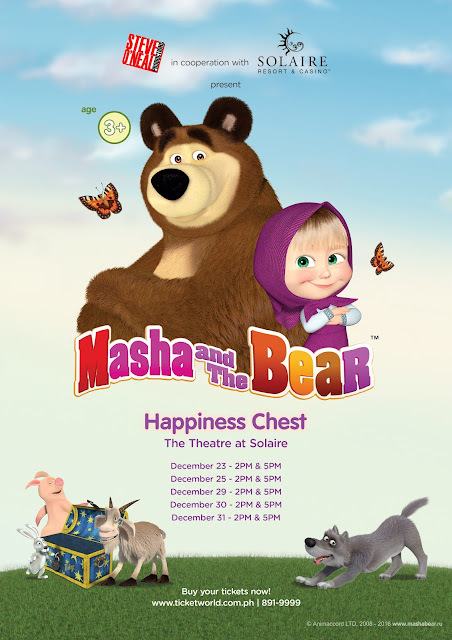 After being televised on Netflix finally arrives at the theatre, with a fun live show, starring Masha, bear and all the main characters of the series. Produced by Ema Russian animation studio Srl on concession Animaccord. Masha and bears Live Show will be a real Musical, with a fun story and many projections and special effects; There will also be the main characters in the original cartoon, which will surround the sweet and naughty Masha.